Many people believe the ski season starts after Christmas. However, skiing in December can be a fantastic way to save money, beat the crowds and get your ski fix before all your friends. This guide will show you how to choose the best resort for December and give our top 10 resorts for early season skiing. 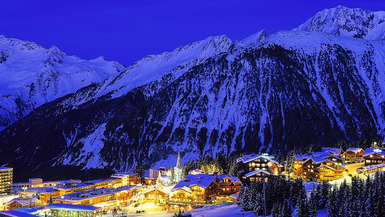 What Makes a Good Resort For Skiing in December? The higher the resort, the greater the chance of snow. Resorts at higher altitudes tend to get more snow early in the season due to the colder weather. This is why mountains will always have snow at the very top. Choosing a resort where a large proportion of the accommodation and pistes are located at high altitude will increase your chances of good ski conditions. When Does The Resort Open? It’s important to check the resort opens in December. The opening of the resort and lifts will also be a good indication of the quality of snow. If the lifts open for skiing in October, this would suggest the pistes have been skiable for two months prior to December. Does it Offer Glacier Skiing? The high altitude of glaciers means low temperatures and good snow coverage. Some resorts even have glaciers which are skiable throughout the summer months. If you choose a resort which offers glacial skiing through the summer, the chances are you’ll be able to ski on it even if the rest of the piste isn’t skiable. Does it Have Snow Making Facilities? When the snowfall isn’t reliable at the start of season, snow making facilities are vital for maintaining skiable pistes. Snow making is the process of using ‘snow cannons’ to artificially create extra snow. 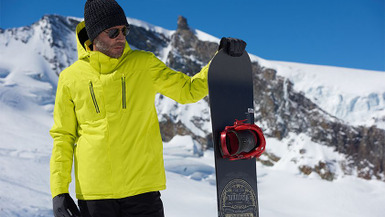 Although these can’t completely replace real snow-fall, they can improve the conditions of the piste and ensure you can keep skiing at lower altitudes. This map shows our favourite ski resorts for early season skiing. Click and hold your mouse on the map to move around. Use the controls at the bottom left of the screen to zoom in and out. Click on the icons to view more information. Use two fingers together to move around the map. Move your fingers apart to zoom into the map. Click the full screen icon in the top right hand corner to view the map full screen in your Google maps app. 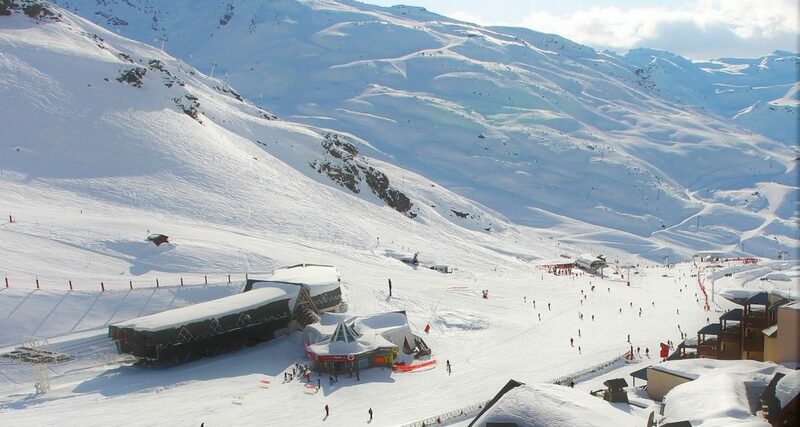 Val Thorens is the highest ski resort in Europe, with 99% of the ski area located above 2000m. So confident is the resort in the quality of its ski conditions that it gives a ‘snow gaurantee’ from November to May. Lifts take you up to 3230m, which along with the option to ski Péclet glacier, leads to a high chance of good conditions in December. The resort opens in November and is know for it’s vibrant nightlife. This Italian resort has some of the most reliable snow falls in Europe and with lifts taking you up to 3820m, is a great place for an early season ski. Along with exploring Italy, skiers can also cross the border into Switzerland to ski on the pistes of the Zermatt resort which can increase the chance of finding good snow. Care should be taken in December however as the link between the resorts can close in bad weather and it’s a long journey back on the pistes or by road. The glacier at Cirvinia is open all year for summer skiing but the winter season starts in November. 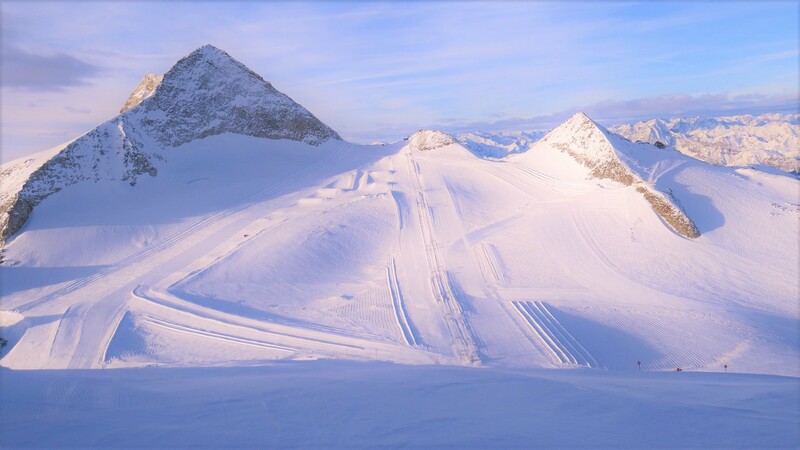 Tignes offers some of the most reliable ski conditions in Europe and is often used as a training base for professionals off season. The glacier here sits at 3656m and provides 20km of ski runs, which makes the resort a fantastic place for reliable summer & winter skiing. There isn’t a real ‘off season’ at Tignes due to the quality of the glacial skiing, so prices won’t be as discounted in December as other resorts. 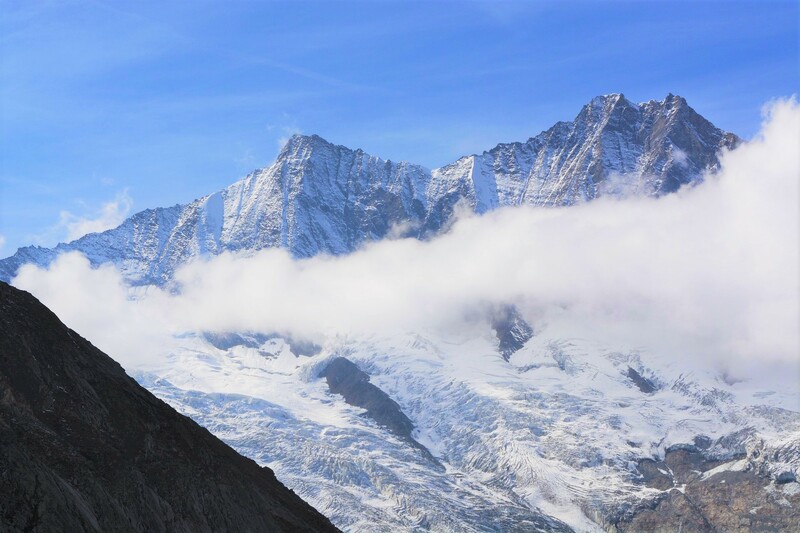 Solden offers year round skiing on two glaciers, which means there will nearly always be somewhere to ski at the start of the season. The Tiefenbach glacier offers wide gentle slopes perfect for beginners with the Rettehnbach glacier presenting a bigger challenge for the experienced. The resort has three mountains over 3000m tall and the resort itself states that ‘snow is absolutely guaranteed from October through May, which should give you the confidence to place your bets on an early season ski trip. The resort is known for very lively nightlife which may put some families off. This resort has glacial skiing at 3500m throughout the summer, so even if the conditions aren’t great in the resort, you can head up to the glacier for some snow. Alongside skiing on the glacier, there’s a fantastic freestyle park where snowboarders and skiers can hone their tricks off season. As for the rest of the ski area, it’s located between 1800m and 3500m so there’s a chance of good skiing in December. The wide slopes and smaller number of pistes are favoured by families and beginners. This is one of the highest ski villages in Europe, sitting above 1900m in the Austrian mountains. 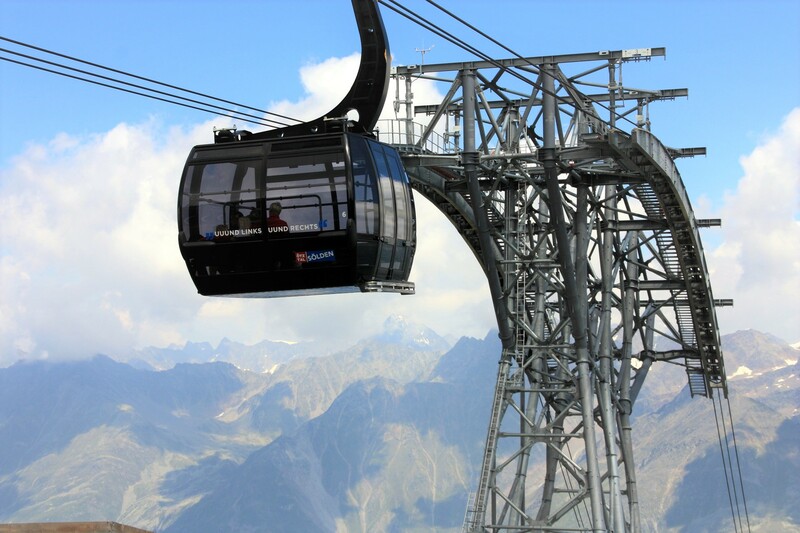 With lifts taking you up to 3080m, the resort provides some of the most reliable snow in Europe which allows the season to run from mid November to early May. 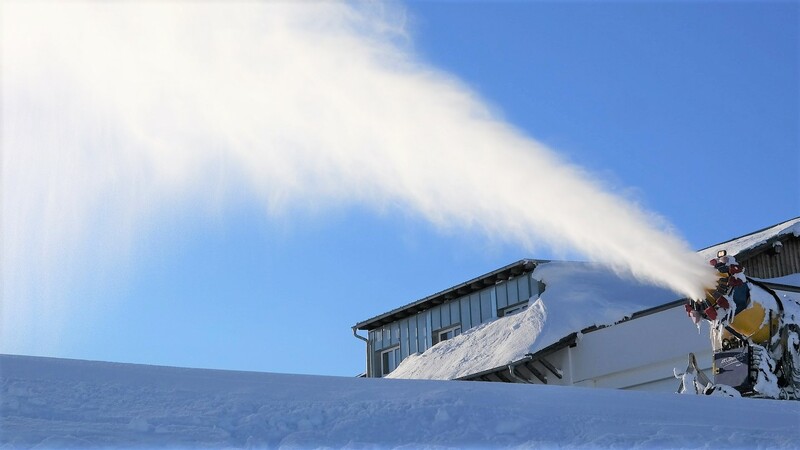 Obergugrl snow is partly aided by excellent artificial snow-making facilities, which produce approximately 1 million cubic metres of artificial snow each season. If the conditions aren’t great, the two glaciers at the Solden resort are close by. 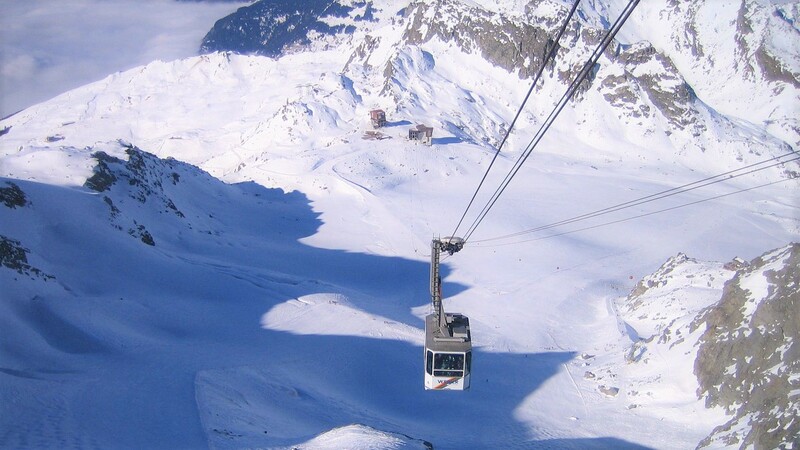 The freeride destination of the alps, Verbier will often get large snowfalls at the start of the season and with lifts right up to 3330m, snow is relatively reliable. Heading to the resort in December can be a great way to beat the crowds and with 400km of pistes, there’s lots of opportunity for exploration to find the best conditions. 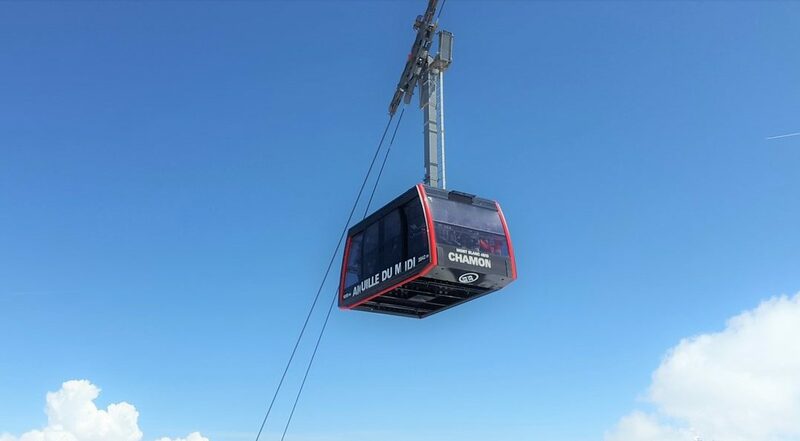 A lift pass for chamonix allows you to explore 11 different ski areas. This choice of places to ski might not increase the reliability of the snow itself but it will give you a greater chance of finding at least one area with good snow. The site of the first winter Olympics in 1924, Chamonix isn’t just a ski resort but a functional town of 9000 permanent residents. This means hotels, restaurants and other facilities shouldn’t be deserted outside the main season. 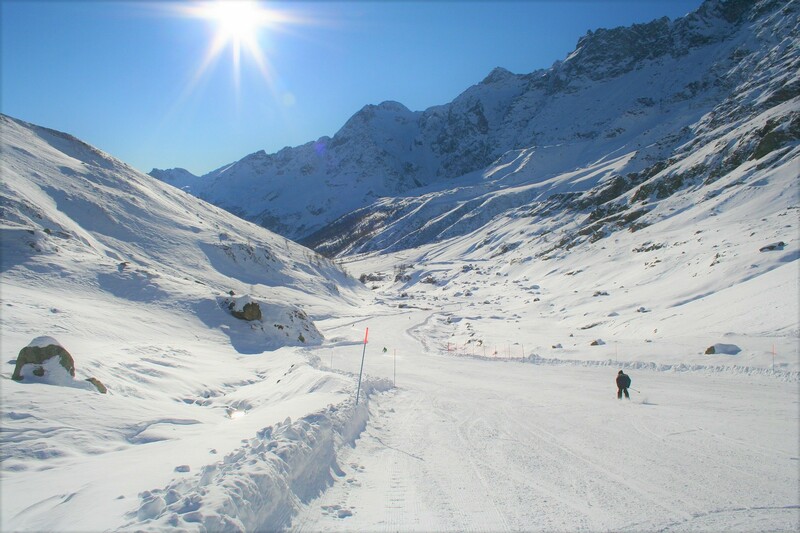 Hintertux is one of only two ski areas in the world that aims to open every day of the year. This means there is a high chance of good skiing in December, particularly on the glacier where you’ll find the famous ‘frozen wall’. Elsewhere, there are 60 km of ski runs which open from October right up until May. The slopes are mainly north facing and sheltered from the sun. As a result, the melting of snow will be reduced which should help improve conditions in the early months of the season. The season in Åre starts in November and continues through to May. With its very Northern location, there’s usually good skiing in December. If the conditions aren’t the best near your hotel, there are 100 pistes for you to explore and locate the best conditions. Skiing in December can be a great way to save yourself some money and enjoy quiet slopes. However, it’s important to remember the conditions described in this article can vary wildly year to year based on weather conditions. This article should be used as a guide only and it’s always best to check with travel operators and the weather conditions of previous years before booking.